There are numerous reasons that people choose to invest in gold as an asset, but perhaps the biggest drivers for the increasing trend of investors owning physical gold have been the performance of the price of gold, economic uncertainty, and decreasing barriers to purchase and ownership. The backdrop to the increasing popularity of gold over the last decade has been the increasing price compared with the Dow Jones Industrial Average. If you look back to 1980, the Dow Jones industrial average was at the same rate as gold. Between then and the year 1999, the ratio went from 1:1 all the way up to 44:1. Industrial performance far outstripped the price of gold. Since 1999, the 44:1 level has dropped below 6:1 with a “temporary” jump back up to 8:1. This big picture demonstrates the gold trend against the Dow Jones Industrial Average. The performance of gold has seen a fivefold increase in the price in the last five years. Certainly, it has been a high-performing asset and not just a safe haven to protect wealth. Many gold investors have chosen to add gold to their portfolio to hedge against inflation. Over the last 100 years, gold has retained its value incredibly well. One ounce of gold could buy a tailored suit in London 100 years ago, and today, one ounce of gold can still buy a tailored suit. Currency devalues as governments seek to ease the pain of financial suffering, and only time will tell whether such currency devaluation will have serious implications on the use of our current currency units. Government policy on quantitative easing in the US, UK and particularly Japan have caused many nations to consider a “currency war”. Currency manipulation is a dangerous thing for the world economic situation. Gold provides a hedge against inflation, and could also later become currency itself. Some states in America have even given gold and silver currency status. Some people buy gold in order to hedge against not just currency inflation, but a financial or world crisis. There is a great deal of uncertainty in the world at the moment and owning gold provides security against most eventualities. Gold will retain its value through most economic environments, whether there’s currency, no currency, order or disorder. Gold provides the opportunity for bartering and protects ones purchasing power. Smaller denominations of gold are best for this purpose. 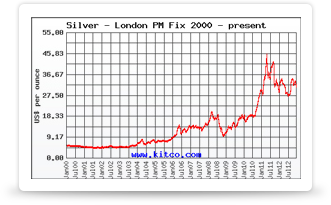 Many people buy gold and silver coins to protect themselves financially from the effects of a crisis. Gold is now seen as an asset to preserve wealth and also create wealth. Performance over the last decade has demonstrated that it can outstrip even the best stocks and can perform well through economic crisis and uncertain financial times. Many people prefer to buy gold in a physical form rather than paper investments, as buying unallocated gold, or Gold Futures, does not provide the same hedge against inflation, protection against crisis, and the ability to use one’s investment holding as currency. However, many have also chosen to invest in the short-term volatility and volume of the asset enjoying regular profits through their trading vehicle of choice. Many investment advisers these days suggest holding a percentage of one’s portfolio in precious metals. Portfolio diversification has become increasingly difficult in the equity markets as macro trends have demonstrated their capacity to wipe large values off diversified geographical and sector assets. There seems to be nowhere to hide these days. The trend towards owning physical gold has increased and it is certainly comforting for investors to know that they are not alone in seeing the sense in this strategy. Buying gold provides the opportunity to access the assets in different quantities; large or small. One can buy coins, rounds, bars, and even jewelry. Investors can buy a kilogram bar of gold for around $52,000, or a small gold coin for $250. People can invest monthly in regular investment programs and can build a portfolio through a gradual, ongoing investment strategy. They can take an accumulation approach and benefit from dollar cost averaging in the process. They can then store their gold in a safe at home or chose to keep their gold in the depository. Retail investors now have access to some terrific online sources for their gold. Never before has it been so easy to access trusted sources to buy different forms of gold. Retail websites like JM Bullion have a constant source of gold and competitive pricing. The vendor arranges delivery, and packages are shipped to the investor fully insured, efficiently, securely, and discretely. In the past there were practical barriers to owning physical gold. These are now gone.